Model #90BM Bench Mount makes daily shoe care so easy. It is a cinch to do multiple pairs of shoes in a short amount of time. The #90BM is fast thorough and compact. The machine will sit on any hard top and is built to be used and used. Turn the motor on, and the brushes start to spin. 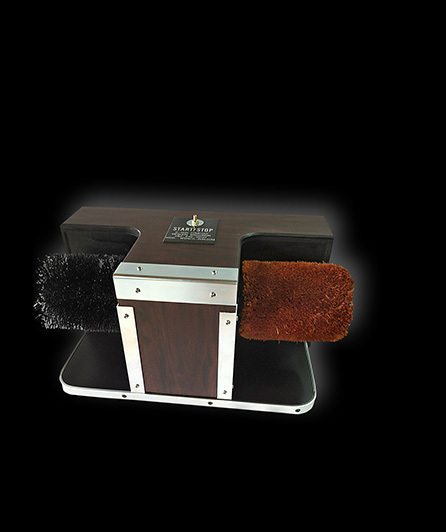 You're ready to clean and buff your shoes!